Private Collection of Robert G. Hill, Toronto, Ont. With the photographer's oval blind stamp on the mount "FRATELLI ALINARI/FIRENZE" and numbered in the negative "86". 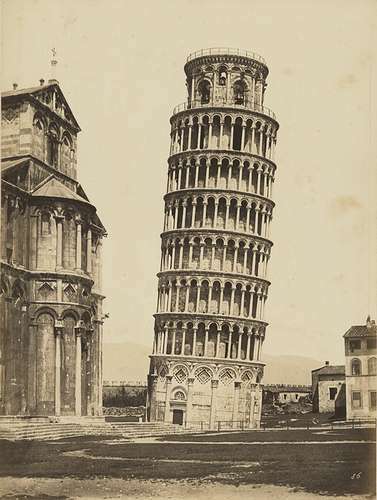 Titled in ink on the mount "Campanile or 'Leaning Tower'/Pisa"